One tier Fountain with dolphins carved as base, decorated bowl with a cherub top finial. 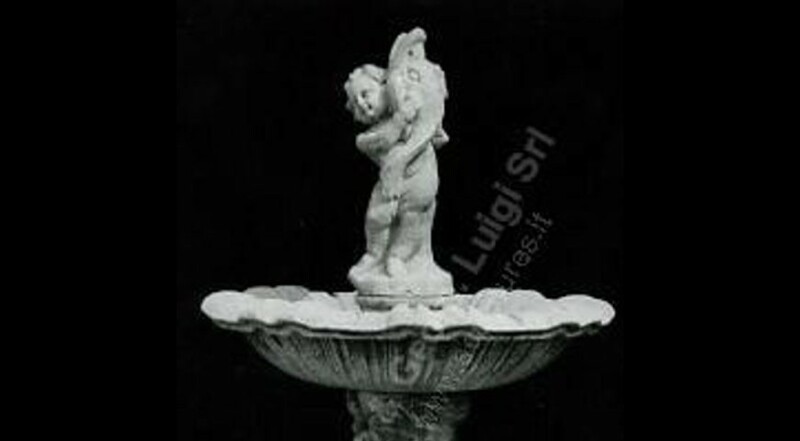 The cherub holds a dolphin that spout water into the bowl. Possibility to use it as central fountain with a round coping, in this case the dolphins will spout water into the coping too. Roman villas origin and private parks.